Today's project is a Corner Fold Card, directions are found on the Technique Junkie Fancy Fold CD. Are you still looking for a stocking stuffer for the crafter on your list? There's still time to order your CD (see link on my left sidebar to order). Beautiful project Lisa. Your work is phenomenal!!! very pretty Lisa .... you never disappoint - always something fun, beautiful, inspirational! Gorgeous! Love the design and the folds are so unique. Lovely! Wow, very pretty, and luv the fancy folds! 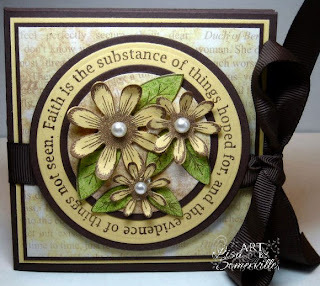 The fold on this is very cool and I like the flowers! Those flowers are gorgeous! 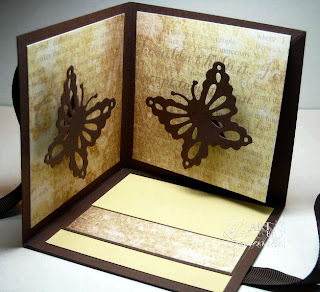 Beautiful folding card and your design is amazing! Love this! Wow, a beautiful card, love the flowers, sentiment and that fold is awesome. Beautiful work.